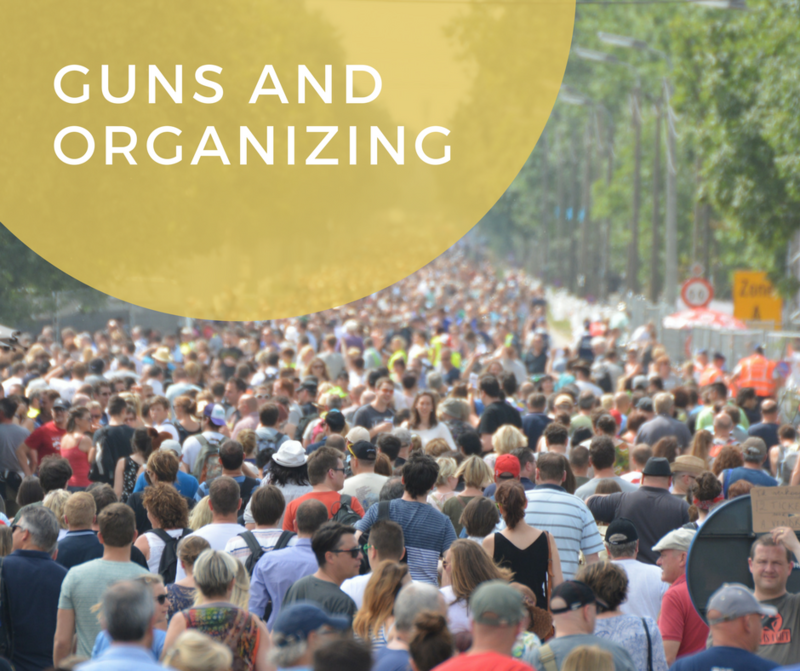 Guns and Organizing - The Idea Inc.
You know what is both incredibly ironic and fantastic about the history of America and marches? We are a country built on protest. It could be argued that this nation can be referred to as great because of protest and unrest. Before March for Our Lives, the Women’s March, and Black Lives Matter, there was the suffrage protests beginning in the mid-1800s to anti-war and civil rights protests that span the history of of the US, but we often speak about it happening during the 1960s and 1970s. We, at our core, want good and we are willing to take risks for what hits home for us. Our goal as a company is to not just organize corporate protests and grassroots marches, but to show diverse groups how and why you should speak out, up and often on topics and with groups that do not directly affect you. As a side note, we define protest as any person, non-profit or corporation that looks to halt the status quo to change the narrative and/or state of affairs within a community. Intellectually, you may understand why, but let me explain further. Were the students of Marjory Stoneman Douglas High School prepared to stand with students from other backgrounds and geographic locations before the mass shooting that took their fellow students and teachers? Perhaps not and it is not because we are insensitive. It is because until it affects us directly, we are not willing to organize, we are not willing to take action. A perfect example of what I call partner protest is March of Our Lives and the people and organizations that help them to mobilize quickly. From celebrities to other organizations, March for Our Lives became a way for the people standing on the outside to help in the way they could help. “Help” is the administrative efforts it takes to organize. “Help” is money. “Help” is people showing up in large numbers. “Help” is public relations. “Help” is communicating through words and visuals why being a part of said efforts is important. “Help” can’t be done alone and partner protests can help to make the tiny step you are looking to make into the big step you need to make moves. The March of Our Lives organizing body was birthed following yet another horrific mass shooting in Parkland, FL. They have a live website, organized and lead marches and walk outs on behalf of gun reform. I want to stop here to say I am not advocating for or against gun reform, as I think we need to have more holistic conversations about what “change” looks like. You are not the first to do it and you won’t be the last so temper your expectations on “success”. Your position may be the right way towards change, but the other guy feels the same way. Do not focus on being “against” something, as much as galvanizing people around a mission who already understand why what you are doing is important. Thank you, Ebonni. I like the idea of supporting actions and protests of partners. It is also important to note that the Parkland survivors/activists are using their, now prominent, platform to highlight voices of other groups and organizations who have been saying the same things all along. Now that they have a following on social media and people are behind them financially, understanding their power and privilege, I am hopeful for change.